Oh, the many joys of spring! Flowers are blooming, we are slowly but surely seeing more and more green peeking through, and we now enjoy almost two extra hours of daylight. There is truly a sense of energy and refreshment in the air this time of year, and I absolutely love it! Not only is it beautiful outside, but now there are countless ingredients in season that make spring cooking and baking so full of vibrant colors and bright flavors! 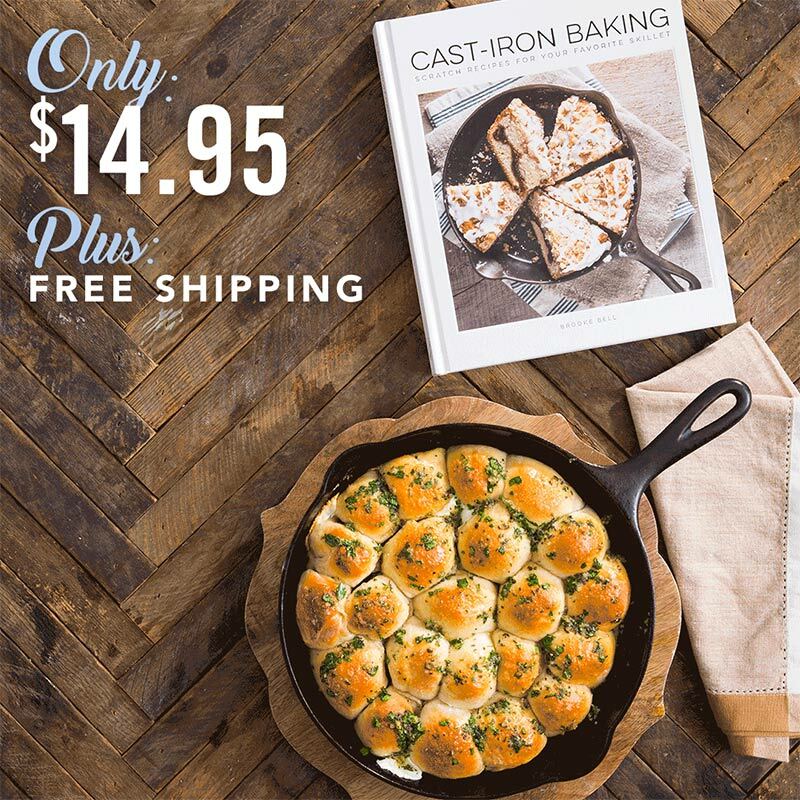 This week only, our Cast-Iron Baking cookbook is available for 40% off plus free shipping with the code BAKING. One of the best things about this book is that it is divided by seasons—meaning there is an entire section devoted to recipes you can make this spring! 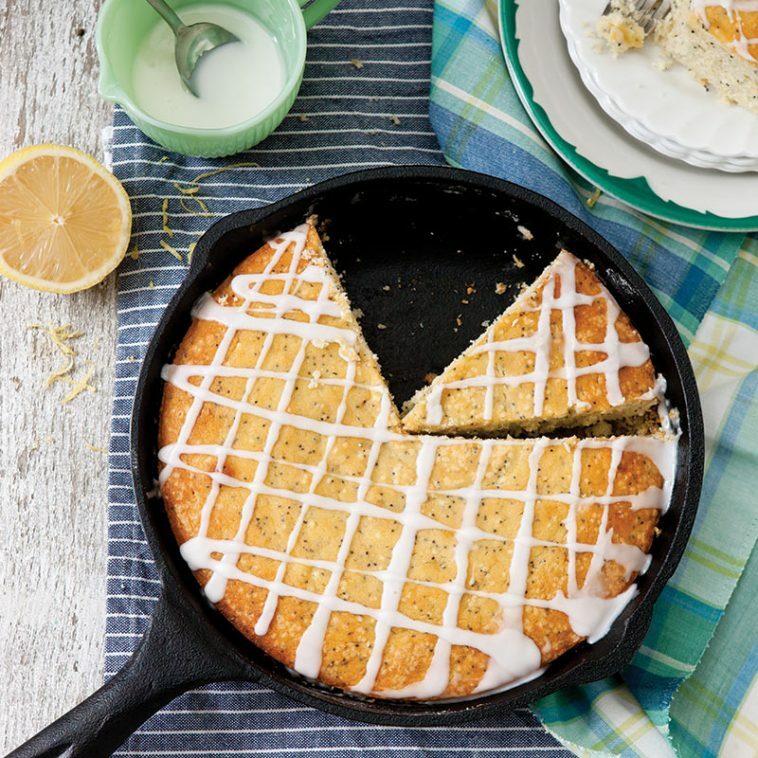 The Lemon Poppy Seed Cake I have shared below is from the spring section of this cookbook. And let me tell you, it will be gone in no time flat if you sit this treat in front of a crowd. In the book, this recipe is described as reminiscent of Saturday morning muffins straight from the Martha White pouch. Such a sweet memory that many of us can relate to, I’m sure! In a large bowl, beat granulated sugar and zest with a mixer at medium speed until well combined, 3 to 5 minutes. Add butter, and beat until fluffy, 3 to 4 minutes, stopping to scrape sides of bowl. Add eggs, one at a time, beating well after each addition. In a medium bowl, whisk together flour, baking powder, and salt. Reduce mixer speed to low. Gradually add flour mixture to butter mixture alternately with yogurt, beginning and ending with flour mixture, beating just until combined after each addition. Fold in poppy seeds. Pour batter into prepared skillet. Bake until a wooden pick inserted in center comes out clean, 30 to 35 minutes. Let cool completely. In a small bowl, whisk together confectioners’ sugar and lemon juice until smooth. Drizzle over cooled cake. This cake could not be simpler, yet it is still quite the showstopper. If you make this cake please tell me in the comments below how it turns out! To ship the cookbook sale, click the graphic below! I made this cake over the weekend. The cake itself was so delicious but the icing did not work out as it should have. I think the amount of lemon juice used should be specified as it can vary with the size of the lemons. The two lemons I used, (I would say they were large), yielded so much juice that I had to add extra confectioner’s sugar and still ended up with way too much icing to drizzle as shown. I had enough to fully glaze two more cakes! It was really easy and tasty though. I want to try it again but only juice one lemon and use only enough juice to turn one cup of sugar into a nice drizzling icing. I plan to serve this for Easter dessert. I’m glad you enjoyed the cake and plan to make it again for Easter! An idea for leftover icing is to serve in a bowl in the side for those who love their desserts extra sweet. I know I have a few of those in my family! Can I bake this in a cake pan and at what temperature. Unfortunately, the cast iron pan is too heeavy for me at this time of my life:(. 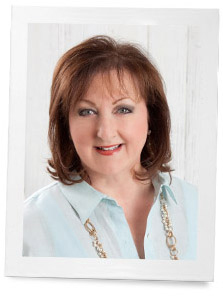 Love your blog and uplifting thoughts and magazines. Hi! I am not sure about this recipe, but I have seen other cakes like carrot cake, etc., baked in a bundt pan. Maybe that might work? I have one which is made of a cast aluminum, so it is heavy enough to bake evenly, but not too heavy to handle. This cake can be baked in any square or round cake pan!